The Raptor Center always looks forward this time of year to working with staff from the Raptor Resource Project. 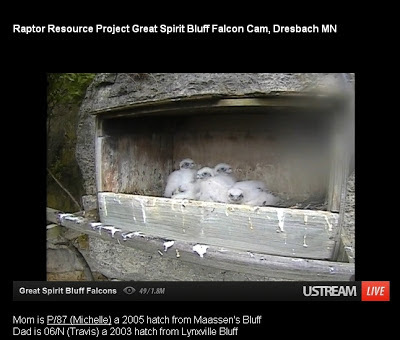 They tally countless hours monitoring peregrine falcons on Mississippi River cliffs, as well as the peregrines on the Xcel Energy structures. 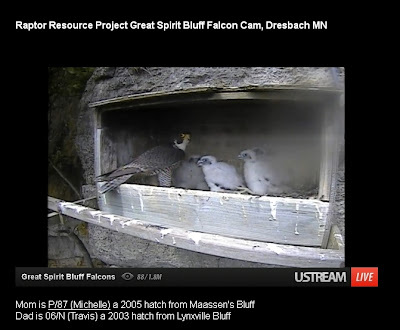 They band many of these chicks on behalf of the Midwest Peregrine Society. 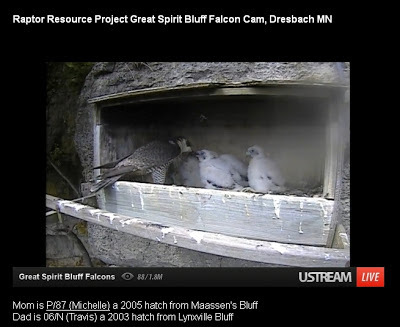 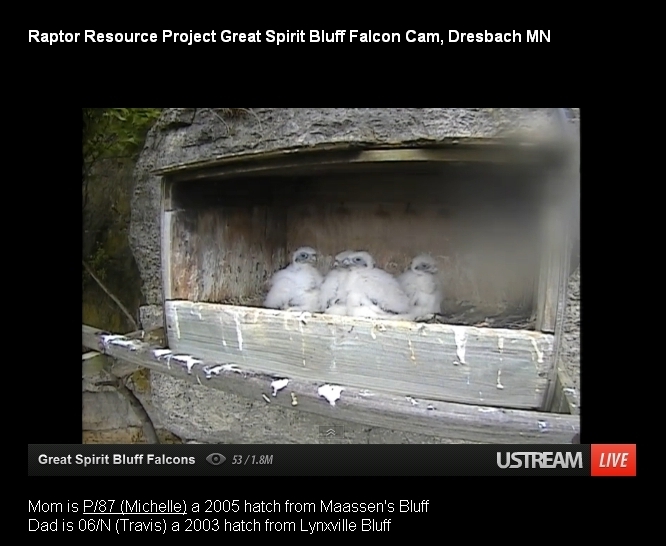 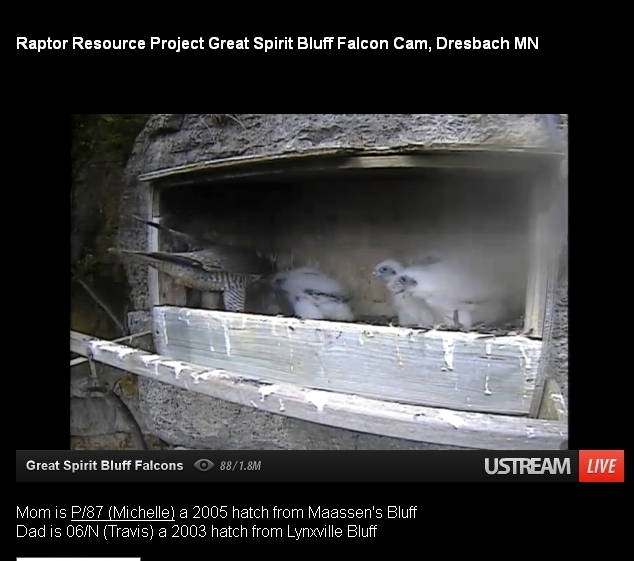 We would like to share some screenshots from the camera on the Great Spirit Bluff nest site at Dresbach, MN. 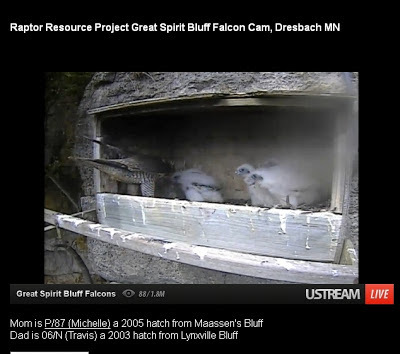 The first hatch was May 17. Thank you to them for making this opportunity possible to see the lives of this falcon family, including challenges that all wild birds face.